Rochester's Greatest Culinary Hits Re-Mixed! 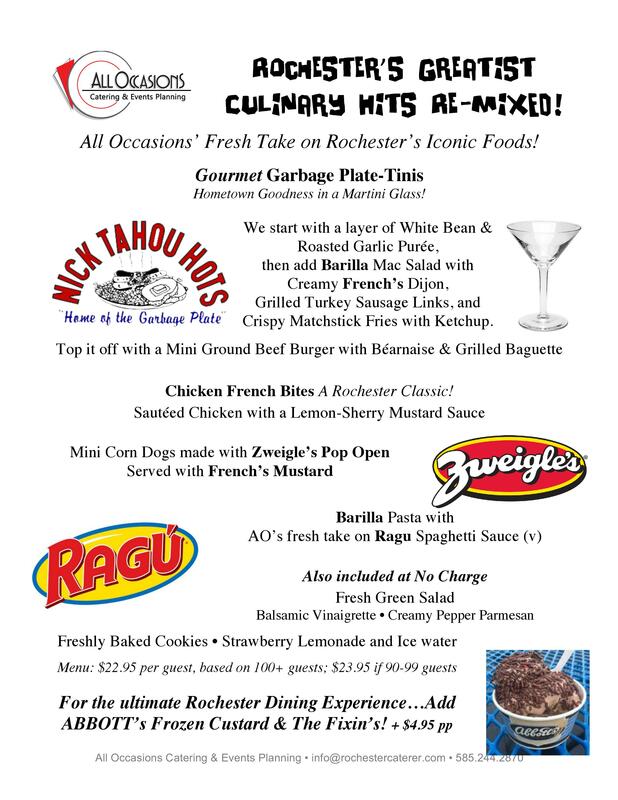 Our Chef has done it again with our Rochester's Greatest Culinary Hits Re-mixed menu!! Presents your guests with a fresh take on some of the iconic Rochester foods we love. Perfect for Company Picnics, Graduations, Family Reunions and more! Keep Scrolling to view menu. Also available with special dietary needs options such as Gluten-Free, Vegetarian, and Vegan!